Abstract: Clinical trial findings from audits reveal the same type of problems year after year despite the implementation of quality systems, compliance training, and corrective and preventive action plans. This article provides an overview of the root cause of these problems and how to ensure that corrective and preventive actions are addressing the actual problem rather than its symptoms. Actual case study illustrates some of the common problems in clinical trials. Today, clinical trial professionals are provided with guidelines, regulations, company policies, procedures, and endless amounts of training to help them with the conduct of clinical trials. Despite all the training one receives or all the guidelines, regulations, company policies, and procedures in place to assist with the conduct of a clinical-trial, problems including unanticipated situations or safety issues may arise (Table 1). Clinical research professionals are often unable to give their full attention to every detail of the study due to the speed in which the trial progresses, the strain on company resources, or many of the other day-to-day factors that impact ones’ time and attention. Delegated responsibilities were assigned to everyone regardless of their role on the study. The site personnel signature/delegation form was not completed correctly or in a timely manner. For example, the dates for the clinical investigator’s signature were changed and updated. Some of the dates were after the person began conducting protocol-required procedures. Dr. MJ signed the electronic version of a physical exam for Subject 1285’s visit for Cycle 1, Day 1. Dr. MJ, however, was not listed on the delegation log to perform protocol-required procedures. The number of site personnel listed on the signature/delegation form far exceeded the number of people who actually worked on the clinical trial. No protocol deviations or violations were recorded in the monitoring reports for these issues. The monitor identified the issues only as follow-up actions and has not seen the clinical investigator in months. Communication between the monitor and the clinical investigator occurred primarily through follow-up letters sent after each monitoring visit. Issues noted in the audit finding had been ongoing for approximately one year. The clinical research site routinely lists everyone working in their department on the Form FDA 1572 rather than determining which staff members actually work on a specific clinical trial. 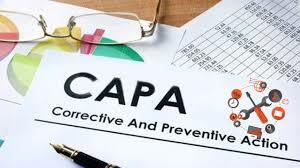 A corrective and preventive action (CAPA) plan is a series of actions taken to resolve a compliance issue, and most importantly, to prevent further recurrence (Table 2). A CAPA plan will focus on the immediate noncompliance and the broader scope of the problem. It involves investigating and understanding the issue, correcting the issue, and preventing the root cause. CAPAs can be used for audit or inspection observations, compliance improvement, or risk mitigation. Risk to subject safety and/or data integrity, and, as a result, risk to the company’s license to operate. For example, an email from an investigative site with the subject’s name has just arrived. Should immediate action be taken or should clinical research professionals wait for a CAPA? In this specific case, the clinical research professional should act immediately. They must redact the subject’s name because it violates data privacy regulations and the Health Insurance Portability and Accountability Act (HIPAA). The recipient must also discuss the problem with the sender of the email and report it internally, as required by company policy. A root cause analysis (RCA) is a method used to examine and identify the underlying reason for why an issue has occurred. Performing an RCA allows one to identify effective actions to correct or eliminate the cause and prevent the issue from recurring. Now we return to the case study. Why hasn’t the site delegation log been updated? Why are the other issues in the audit finding not addressed with this root cause? The root cause identified by the monitor does not address the real issue. It is only a brief observation without knowing why the problems are occurring. There are several different methods available to help us identify the real root cause of an issue. One of the most common and simplest methods used is the 5-Whys method. The method allows one to explore the cause and effect of an underlying problem by asking the question “Why?” five times. Asking a “Why?” question may lead to another “Why?” question until “Why?” can no longer be asked. One may not necessarily need to ask five “Why?” questions to identify the root cause. One may be able to get the root cause with three “Why?” questions, for example, while other times it may take more than five. One of the findings from the case study audit involved changed dates. The clinical investigator’s signature dates had been changed and some dates were recorded after the staff began clinical trial-related activities. Now let’s try to determine the root cause by using the 5-Why method. Question #1: Why were the clinical investigator’s signature dates changed? Site’s Response: The study coordinator asked the clinical investigator to update the delegation log at the start of the study. The clinical investigator made updates to the log and updated the signature dates. Question #2: Why were some dates recorded after the person started protocol-related procedures? Site’s Response: The clinical investigator was busy and focused on other priorities, wrongly assuming that the study coordinator was keeping up with this activity. Question #3: Why did the clinical investigator assume that the study coordinator was keeping up with this activity? Site’s Response: The clinical investigator feels that this is an administrative task; therefore, he assumed that the study coordinator was keeping up with all of the paperwork. Question #4: Why didn’t the study coordinator follow up with the clinical investigator to remind him to update the form? Site’s Response: The study coordinator was too busy to follow up on general study paperwork due to the rapid enrollment of subjects into the study, prioritized work related to subject enrollment, and ongoing subject visits. Question #5: Did the study coordinator ask for assistance? Question #6: Why hasn’t the study coordinator asked for additional assistance? Site’s Response: There is no room in the department budget to hire additional staff. Question #7: Why hasn’t the investigator slowed recruitment to allow the study coordinator to catch up? Site’s Response: Study recruitment is going quicker than expected. The clinical investigator is required, by contract, to enroll a defined number of subjects; therefore, subject enrollment cannot slow down. Question #1: Why were physician-related activities, to be conducted only by the clinical investigator or sub-investigators, delegated to non-physician roles on the delegation log? Site’s Response: Physician-related activities are not being conducted by non-physicians. These activities were assigned in error. Question #2: Why were there so many people listed on the delegation log? Site’s Answer: We routinely list everyone on the delegation log rather than those who actually work on a trial. Question #3: Why was Dr. HS left off of the delegation log when it is routine to list everyone? Site’s Response: The delegation log was not routinely updated to keep up with new and departing staff. Question #4: Why are you unable to perform ongoing maintenance of the delegation log? Site’s Response: We were unable to keep up with both recruitment activities and administrative tasks. We can continue asking “Why?” questions after Question #4, but this would only lead back to workload issues, which have already been questioned previously. Another finding from the case study audit showed that the monitor had followed up on issues previously, yet some of the issues have remained open for over a year. Question #1: Why do the issues remain open when recoded over a year ago? Monitor’s Response: Due to high recruitment, the study coordinator struggles to keep up with the work on the study. Question #2: There is no evidence that you have escalated this to your (CRO) study manager. Why haven’t you escalated this issue to your manager? Monitor’s Response: The issues were documented for follow-up in monitoring reports and follow-up letters after each site visit. I was not aware of the need to escalate site workload issues to my (CRO) study manager. I assumed that my study manager was aware of the issue, and I would have said something, especially because it is my study manager who reviews my monitoring visit reports for this site. Question #3: Why haven’t you escalated or reported the lack of investigator oversight/study management as a potential quality issue? Monitor’s Response: I was unaware that this would qualify as a potential quality issue. I only thought that it was an issue for follow up. Information gathered while performing the 5-Whys method clearly shows that there are communication problems between the monitor, clinical investigator, and site staff. Communication problems are also present between the monitor and the CRO study manager. Poor communication within the CRO study team kept the issue from being escalated to the sponsor. The sponsor could have tried to help resolve issues at the site if the sponsor had been informed. Unfortunately, the sponsor was only made aware of the issue when the audit report was released. The root cause analysis provides information that can be used to develop corrective and preventive actions. Common themes identified in the case study audit include (Table 3): (a) site staff have a high workload due to rapid subject enrollment, (b) there are no site processes indicating who is responsible for performing tasks, (c) poor delegation of study tasks as assumptions are made about who does what, (d) lack of adequate oversight by the clinical investigator, (e) the monitor did not provide sufficient follow up, and (f) poor communication between all parties. Developing effective corrective actions should eliminate the cause of a detected non-conformity or other undesirable situation or event. At the next monitoring visit, the monitor will review the site delegation log with the clinical investigator and the study coordinator to ensure that all staff members who have contributed to the study are listed and responsibilities are appropriately delegated. This activity will be documented in the monitoring visit report and in the follow-up letter to the site. The monitor, clinical investigator, and site staff will discuss responsibilities for performing various study tasks and address workload issues. Information from the discussion will be provided to the CRO study manager and sponsor to see if additional support can be provided. This activity will be documented in the monitoring visit report and in the follow-up letter to the site. Implementing corrective actions alone will not prevent non-compliance. Preventive action must be taken to eliminate the cause of non-compliance or other undesirable potential situations or events. Should aim to ensure that the issue will not be repeated. Preventative actions for the case study should focus on the common themes that came out of the root cause analysis: (a) site staff have a high workload due to rapid subject enrollment, (b) there are no site processes indicating who is responsible for performing tasks, (c) poor delegation of study tasks because assumptions are made about who does what, (d) lack of adequate oversight by the clinical investigator, (e) the monitor did not provide sufficient follow up, and (f) poor communication between all parties. The monitor will schedule the next monitoring visit while meeting with the clinical investigator and site staff in an attempt to improve meeting attendance with the clinical investigator. At each monitoring visit, the monitor will speak with the study coordinator or clinical investigator to see if there have been changes in study staff, to see about completion of training, and to review the delegation of study procedures with the clinical investigator. The clinical investigator and the study coordinator will dedicate time for the review of site activities with an agreed-upon frequency. The monitor will receive training/mentoring on effective communication, escalation, follow-up, and issue resolution. The monitor’s manager should periodically check on the monitor to see if additional training and mentoring are required to improve communication skills and issue resolution. The monitor and the clinical investigator will agree on the study oversight process at the investigative site, utilizing regular review meetings to evaluate current and potential issues, findings, and workload. They will continuously implement the required changes to improve the quality of the study conduct. Checking the effectiveness of implemented corrective and preventive actions is an important part of the CAPA process, especially for issues that are deemed as critical or serious. Continued oversight and monitoring is required to verify that the actions taken have been effective and that the issue does not recur. In some cases, actions taken may not be effective. In such cases, it is necessary to re-examine the root cause and agree upon additional actions to address the issue. CAPAs are closed when actions and documentation are completed and corrective and preventive actions have effectively resolved the incident and mitigated the risk of recurrence. This requires evaluating the effectiveness of the actions taken and whether goals were achieved. When a CAPA plan is implemented due to an audit or inspection, one must be able to show the range of activities taken to address the issue. CAPA documentation must be maintained to demonstrate planning and implementation in addition to providing evidence of decisions made and actions taken. Documentation to support corrective and preventive actions implemented. Documentation must be updated with ongoing actions until the CAPA plan is closed. Supporting documentation must be always available. In the United Kingdom, the Medicines and Healthcare Products Regulatory Agency (MHRA) may consider repetitive problems as a serious breach of Good Clinical Practice (GCP). For example, the inclusion and exclusion criteria in a protocol states that a procedure must be completed and results must be within a given range. The site enrolls a subject into a trial and administers investigational product prior to receiving the results. Fortunately, the subject’s results were received and were within the range specified in the protocol. The subject was not harmed in this instance, but there was the potential to harm the subject should the results have shown that the subject was not suitable for participation in the trial. Enrollment of a subject prior to confirming that all inclusion and exclusion criteria were met would be documented as a protocol violation, and discussion would occur between the CRO and sponsor on how to proceed with this subject and the site. Would this situation need to be reported to the regulatory agency as a serious breach? Most likely not, but if the site should do this again, the CRO and sponsor would need to consider if the site’s actions fit the criteria of a serious breach. Successful issue resolution depends on identifying the real cause of the issue by performing a root cause analysis and finding effective corrective and preventive actions. Successful resolution involves the development of a corrective and preventive action plan that addresses the actual root cause of the issue. The CAPA is closed when the corrective and preventive actions have effectively resolved the issue and prevent it from recurring in the future. Continuing process improvement is vitally important because minor issues can grow and may have a negative impact on the safety of patients, the study results, and the reputation of the CRO and sponsor. Logistical problems like shipping, etc. Technical issues with equipment, etc. No site processes or proper delegation: who does what? Previous Previous post: Evaluating the Protocol: Can the Clinical Research Site Really Do this Study?